The NTA Announces the National Tutoring Week Winner! The NTA would like to announce the winner of the 2016 National Tutoring Week contest is West Virginia University Honors College tutoring program! This is the second time that the Mountaineer Tutoring Network has won this award. We loved their service project and their stress relief day featuring the WVU therapy dogs. Congratulations! As per the contest details, West Virginia University Honors College is entitled to three (3) free registrations and (1) four-night hotel room stay at our 23rd Professional Development Conference in 2018 in Tampa, FL, as well as one (1) concurrent session slot at the conference and recognition at the awards luncheon. See their outstanding submission below! Delaware Technical Community College Celebrates National Tutoring Week! North Florida Community College Celebrates National Tutoring Week! Berger Community College Celebrates National Tutoring Week! University of Maryland Celebrates National Tutoring Week! Johnston Community College Celebrates National Tutoring Week! Margot Enterprises Celebrates National Tutoring Week! 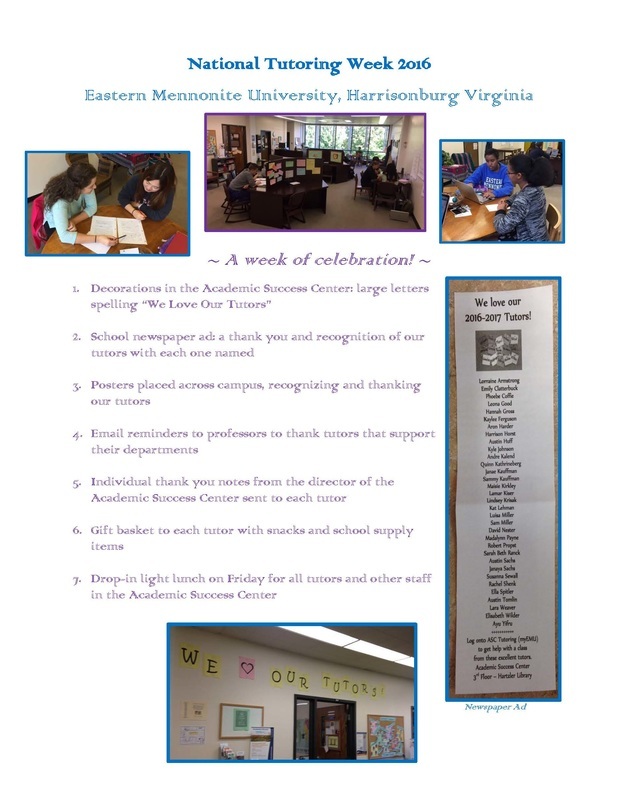 Eastern Mennonite University Celebrates National Tutoring Week! 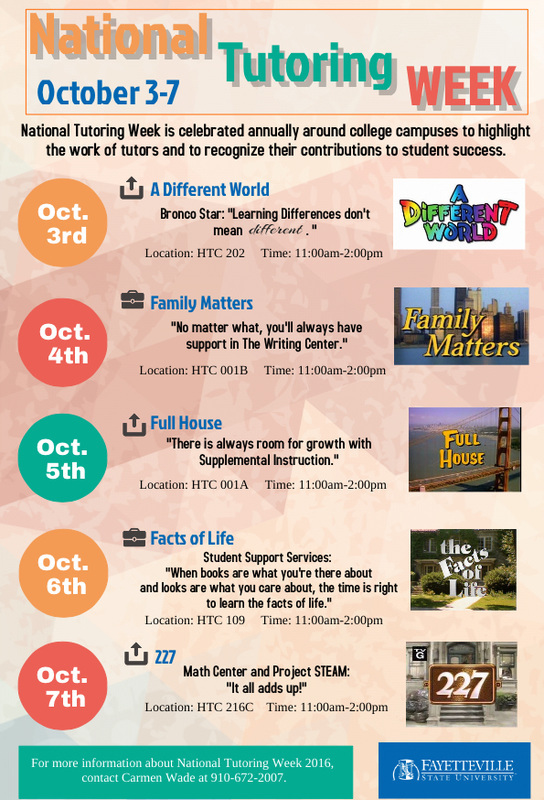 Broward College Celebrates National Tutoring Week! Fayetteville State University Celebrates National Tutoring Week!